What does it mean in practice to be a values-based leader? When faced with real situations, how can you be your best self and create best teams while also being a best partner with customers and vendors, a best investment for your stakeholders, and a best citizen making a difference in the world? It’s a tall order, but these are the expectations for world-class organizations today. In Becoming the Best: Build a World-Class Organization Through Values-Based Leadership, Harry Kraemer’s highly anticipated follow-up to the best-selling From Values to Action: The Four Principles of Values-Based Leadership, the author, professor, and former CEO shares how values-based leadership can help accomplish this. As he did with his first book, Harry will donate his proceeds from Becoming the Best to the One Acre Fund, an organization that carries out its values-based leadership in support of farmers in Africa. In From Values to Action Harry Kraemer showed how self-reflection, balance, true self-confidence, and genuine humility are the traits of today’s most effective leaders. In Becoming the Best, his highly anticipated follow-up, Harry reveals how, in practical terms, anyone can apply these principles to become a values-based leader and to help create values-based organizations. I can’t wait to read both books. I always knew Harry to be highly respected by his peers! His traits of an effective leader are spot on and I’m sure the BESTS in his second book will be as well. Thank you for sharing. Congratulations Professor Kraemer on your new book! I was so inspired by your class and cannot wait to apply your new principles and thoughts. Also just saw you are coming to Boston! Cannot wait to welcome you to my hometown! Looking forward to diving into your latest book, Harry! Thanks Hema! I appreciate your thoughts. I will call you this week. Hi! I’m from India Specially from Andra Pradesh a newly divided state. I am teaching Leadership values from your two books as refereed by our university (S.V.University, Tirupati.). I feel pleasure to share you that your books are more useful to our students as there are doing their MBA. Thank you and waiting for next best from you sir. Can we change what we teach and what students learn in finance classes to put more emphasis on the people, including employees? Greetings Professor. I am currently reading your book From Values To Action and I have found it to be a very insightful, yet thought provoking read. I am almost complete with reading it and it has challenged me to examine myself as a leader and to lead from a values-based perspective. I will be purchasing Becoming The Best and I am sure that it is spot on just as From Values To Action is. Keep up the great work sir. God Bless. "Harry Kraemer offers compelling insight into creating a world-class business by cultivating the “best” components from leaders to teams to suppliers. The principles he explores aren’t merely rhetorical; as a former CEO, he walked the talk. Through the years, Harry has spoken to and enlightened thousands of AT&T leaders with his masterful approach to values-based leadership, providing us with innovative thinking, practical wisdom and aspirational goals. 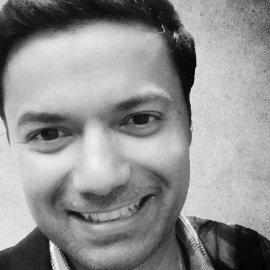 We’re delighted to see him sharing his insights with a wider audience." "Once again Harry Kraemer has captured the subtleties of leadership in a pragmatic formula that we can all understand and begin practicing today. Responding to the enthusiasm from his first book, From Values to Action: The Four Principles of Values-Based Leadership, Harry builds on the foundational virtue of self-awareness and artfully describes key features that define values-based leadership. Harry has written Becoming the Best in a style that combines his wealth of personal experience with a masterful gift for storytelling. He continues to inspire our search for selfless, world-class performance. Thank you, Harry!" "In Becoming the Best, Kraemer brings his renowned teaching from the classroom at the Kellogg School of Management to these pages, offering powerful insights on how leaders must and can bring their values to their work each day – resulting in rich personal fulfillment and outstanding impact on their business and its wide-ranging stakeholders." "Becoming the Best is an energetic and engaging narrative on values based leadership, one crafted by an author who has taught leadership - and also practiced it, extensively. Kraemer focuses on self development. But he does not do so at the expense of the two other components of what I call the leadership system – first, the followers (others), and second the context(s) within which leadership takes place. This book will set your sights high – as it should." "This book will earn a place in your playbook for leadership spirit and soul. Harry Kraemer has shined a light on what it means to lead through real purpose....and how universal human values can be unleashed in your companies to created sustained excellence." Tony Vernon, President and CEO, Kraft, Inc.
"This new book by Harry Kraemer is both brilliant and powerful. He recognizes the importance of values based leadership and provides a focused and insightful how-to primer. He captures the relevance of five often overlooked intangibles that make leadership effective at any level. If you only have time to read one book on Leadership, this book is for you." "Harry Kraemer has produced another compelling and insightful addition to the leadership literature. He is not only an accomplished businessman and teacher, he is also a wonderful writer." "Harry has done it again. While management is primarily a business skill, leadership is primarily a human skill. A profoundly human endeavor in fact because the most powerful manifestations of leadership occur when we link our day-to-day business activities and behaviors to our overall life values and goals. Once again Harry is shedding light on this challenging trail so that more of us can put on our hiking boots and backpacks and begin or continue this wonderful journey." "An award-winning teacher and inspirational leader, Harry Kraemer provides a unique and powerful approach to leadership grounded in the practice of self-reflection and self-knowledge. An essential guide for all who aspire to become more authentic and impactful leaders." 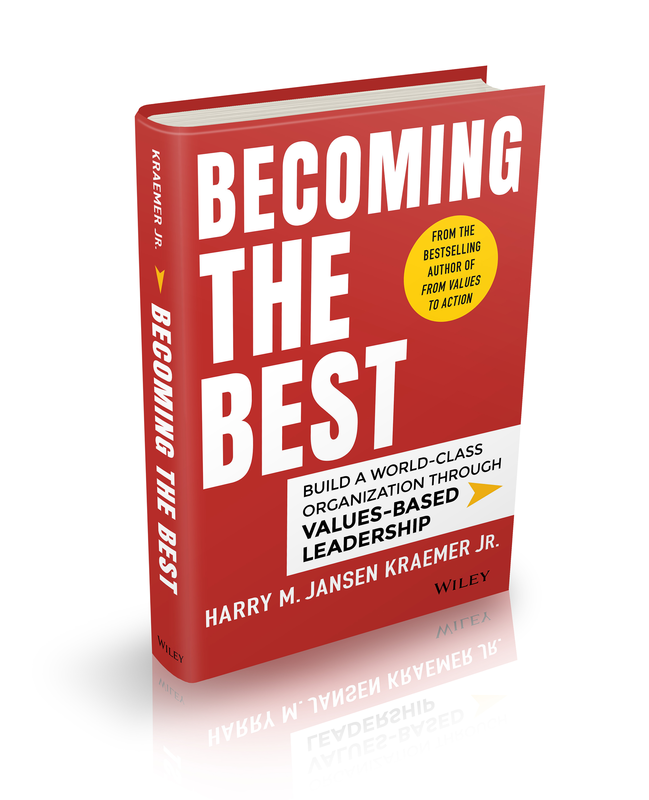 "Becoming the Best builds on Harry Kraemer’s principles of values-based leadership and offers a practical way to apply these values to one’s self, to one‘s team, and beyond. Often this type of advice is most anxiously consumed by those starting out in their careers who look to an experienced CEO and leader like Harry to help show them the right path. But the real value of this book is for current CEOs and others already in leadership positions who also value advice on how to improve their performance. Often, those of us in leadership positions don’t get that feedback from our colleagues. This book helps fill that critical gap." "Harry Kraemer is my go-to expert on organizational leadership. There is no one speaking or writing today who has a firmer fix on what it takes and what it means to be a values-based leader. As he importantly notes in his new book, “The need and desire to become ‘the best’ through values-based leadership have never been stronger or more critical.” He also persuasively makes the case that “guided by self-reflection, informed by a balance of perspectives, and defined by both true self-confidence and genuine humility, values-based leaders at every level make a difference in their organizations.” That is the essence of Harry: self-reflective, properly balanced in perspective, and always guided by true self-confidence and genuine humility. He has made a difference in how executives understand the nature of leadership, and I fully expect his new book will make a difference in how organizations are led into the challenging future that we all face."